If you believe you have been wrongfully denied your ERISA, or non-ERISA, long-term disability benefits, give us a call for a free lawyer consultation. You can reach Cody Allison & Associates, PLLC at (615) 234-6000. We are based in Nashville, Tennessee; however, we represent clients in many states (Tennessee, Kentucky, Georgia, Alabama, Texas, Mississippi, Arkansas, North Carolina, South Carolina, Florida, Michigan, Ohio, Missouri, Louisiana, Virginia, West Virginia, New York, Indiana, Washington DC (just to name a few). We will be happy to talk to you no matter where you live. You can also e-mail our office at cody@codyallison.com. Put our experience to work for you. For more information go to www.LTDanswers.com. The Employee Retirement Security Act of 1971 (ERISA) is a complex and wide-reaching federal statute, regulating most pension, welfare, and health plans offered by employers to their employees. ERISA applies to virtually all private-sector corporations, partnerships, and proprietorships, including non-profit corporations–regardless of their size or number of employees. The goals of ERISA are to provide uniformity and protections to employees. While ERISA compliance is enforced primarily by the Department of Labor, employee benefit plans may also be regulated by other government agencies, such as the Internal Revenue Service and astate’s Department of Insurance. Failure to comply with ERISA can result in enforcement actions, penalties, and/or employee lawsuits. United States Dep’t of Labor, Frequently Asked Questions About Pension Plans and ERISA, http://www.dol.gov/ebsa/faqs/faq_compliance_pension.html. Because ERISA can dictate the course of these benefit plans without much state law interference or regulation, it can improve in certain plan areas (i.e.pension reform) while remain stagnant in others (i.e. welfare benefit plans). In this article, I will provide the history and statutory purposes of ERISA, as well as evaluate where the evolution of this statute stands today. ERISA is the principal federal statute that regulates employee benefit plans. The primary employee benefit plans not covered by ERISA include government plans, church plans, plans “maintained solely for the purpose of complying with applicable workmen’s compensation laws or unemployment compensation or disability insurance laws,” plans “maintained outside of the United States primarily for the benefit of persons substantially all of whom are nonresident aliens,” and unfunded excess benefit plans. See Id. at §1003(b). ERISA is a wide-reaching statute that covers most employee benefit plans and affects a majority of the U.S. population. Craig Copeland, Retirement Plan Participation and Retirees’ Perception of Their Standard of Living, EBRI Issue Brief, http:// www.ebri.org/pdf/EBRI_IB_01-2006.pdf at 1, 31. ERISA regulates both “employee pension benefits plans” and “employee welfare benefits plans”. Pension benefit plans provide income to retired employees. See Treas. Reg. §1.401-1(b)(1)(i) (as amended in 1976). The two types of pension plans are the defined benefit plan and the defined contribution plan. A defined benefit plan sets a predetermined amount that an employee will receive upon retiring. See Id. at §1.401-1(a)(2)(ii). Usually, the employer agrees to pay the employee a certain monthly benefit upon retirement at a predetermined age. The employee can continue to work past the predetermined retirement age, but should not expect to receive the defined benefit until he retires. The benefits paid to the employee are based on certain factors, including “years of service and compensation received”. Id. A defined contribution plan is one in which an employee and employer pay into an individual account in the employee’s name. See Treas. Reg. supra note 5, at (ii). The two most common defined contribution plans are a 401(k) plan and a profit-sharing plan. “In a 401(k) plan, the employee makes contributions from current income into an account, which the employer may or may not match.” 26 U.S.C. §401(k). With the 401(k), the employee is given certain investment options including mutual funds, stocks, or bonds. This way, the employee’s individual account may earn income through investment. A profit-sharing plan is one in which an employee can share in the profits of his employer.The employer decides which portion of the profits will be shared and determines when and how the employee will receive these funds. Employee welfare benefit plans provide for a wide range of benefits such as health care, disability, and prescription coverage to active employees and their dependents. 29 U.S.C. §1002(1) (B). Some plans continue to provide these benefits after retirement. In the United States, roughly “75 percent of workers considered their health benefits to be their most important non-cash compensatory benefit”. See 29 U.S.C.A. §1001(b). ERISA was created to “protect interstate commerce and the interests of participants in employee benefit plans and their beneficiaries, by requiring the disclosure and reporting to participants and beneficiaries of financial and other information with respect thereto, by establishing standards of conduct, responsibility, and obligation for fiduciaries of employee benefit plans, and by providing for appropriate remedies, sanctions, and ready access to the Federal courts.” S. Rep. No. 117 (1993). With ERISA, Congress intended to implement uniform protection for employee benefits upon retirement. The advantage for employers came with creation of a single, comprehensive set of rules to follow regarding employee benefit plans. Before ERISA, employers would be subject to different state laws regarding employee benefit plans, often creating confusion, particularly for employers engaged in interstate commerce. ERISA’s preemption provision states that it “shall supersede any and all State laws insofar as they may now or hereafter relate to any employee benefit plans.” 29 U.S.C. §1144(a). Without this provision, ERISA’s laws and policies would be meaningless, as an employer would be forced to follow state statutes regarding employee benefits. This could encourage employers, in an attempt to save money, to conduct business only in the states with the most lenient employment benefit laws. The preemption provision applies only to state laws that deal with areas covered in ERISA. A state law should be preempted if it: negates any ERISA plan provision, affects relations among the primary ERISA entities, affects the structure or administration of the plan, or has an economic impact on the plan. Courts have stated many purposes for ERISA. Among these objectives are encouraging the growth and development of voluntary, private employer-financed benefit plans, and minimizing financial and administrative burdens on employers. Siskind v. Sperry Ret. Program, Unisys, 47 F.3d 498, 503 (2d Cir. 1995). Another judicially-stated goal is protecting and promoting the interests of plan participants and beneficiaries. Boggs v. Boggs, 520 U.S. 833 (1997). Still another court has declared that ERISA is designed to provide for employees victimized by inequitable plan provisions of poorly funded plans. In re C. D. Moyer Co. Trust Fund, 441 F. Supp. 1128, 1132 (E.D. Pa. 1977). Courts have also held that ERISA is meant to ensure that if a worker has been promised a defined benefit upon retirement and has fulfilled the required conditions to obtain it, the worker actually receives it (Michael v. Riverside Cement Co. Pension Plan, 266 F.3d 1023-25 (9th Cir. 2001)) and protect employees from the economic hardship of joblessness, and reward employees for past service to the employer (Bennett v. Gill & Duffus Chems., Inc., 699 F.Supp. 454, 459 (S.D.N.Y.1988). In Siskind, former employees filed action against their employer’s retirement program. They claimed the program violated ERISA’s fiduciary provisions and sought injunctive relief. The court ruled for the defendant and determined that an employer could discriminate among employees regarding eligibility for special retirement programs. Siskind, 47 F.3d 504. By allowing an employer to determine certain guidelines for participation in a benefit plan, ERISA encourages the growth and development of voluntary, private employer-financed benefit plans. In Muse v. Int’l Bus. Machines Corp., employees brought action against their former employer, alleging that the employer breached ERISA’s fiduciary provision by not informed employees of a better early retirement plan offered. 103 F.3d 490, 492 (6th Cir. 1996). The court ruled for defendant, stating plaintiffs were unable to show they were knowingly deceived by their employer and thus a fiduciary breach had not occurred. Id. at 495. Also, the court held that the plaintiffs could not bring a separate state law claim based on the breach, since it would be preempted by ERISA. Id. ERISA creates a singular venue for its claims, which in turn minimizes financial and administrative burdens on employers involved in litigation. The wife of a deceased pension plan participant brought action against his sons in Boggs v. Boggs. 520 U.S. 833. She claimed that ERISA preempted Louisiana community property laws, which allowed her husband’s first wife to transfer her interest in the participant’s pension plan. Id. The Court held that ERISA did preempt the Louisiana law. Id. at 844. Preempting state community property laws, especially those involving testamentary instruments, allows ERISA to protect and promote the interests of plan participants and beneficiaries. In re C. D. Moyer Co Trust Fund is a response to an application by the Pension Benefit Guaranty Corporation (PBGC). PBGC was created under ERISA (29 U.S.C. §1302) “to administer the mandatory pension plan termination insurance program in Title IV of ERISA.” Id. at (a). In PBGC’s application, the corporation requested a trustee appointment to disburse excess funds created from the termination of C. D. Moyer Co Trust Fund (The Fund). The main objective of this application was to provide for employees who had been victimized by inequitable plan provisions or poorly funded plans. Yet the application was denied because The Fund was able to pay benefits to participants and met the minimum funding standard required. In re C.D. Moyer, 441 F.Supp. 1133. Although unsuccessful here, PBGC exists for the purpose of plan participant protection. ERISA ensures that if a plan administrator has promised an employee a benefit, he or she will actually receive it. In Michael v. Riverside Cement Co. Pension Plan, a former employer brought action alleging that his early retirement benefits were unjustly reduced by an amendment to his plan, an action in violation of ERISA’s anti-cutback rule, which provides that a participant’s accrued benefits will not be reduced by an amendment to the plan. 266 F.3d 1023. The plaintiff in Michael had retired in 1983, and when he came back to work for his former employer in 1988, the benefit plan had been changed by an amendment. Id. The court held that the amendment was a violation of ERISA’s anti-cutback rule, since plaintiff had already accrued the benefits promised with his previous retirement, and he was therefore entitled to them when he chose to retire again. Id. at 1029. In Bennett v. Gill & Duffus Chemicals, Inc., former employees brought action to recover severance pay allegedly owed to them under ERISA. 699 F.Supp. 454. ERISA deems that a severance payment plan is a form of employee welfare benefit plan. 29 C.F.R. § 2510.3-2(b)(1). The Bennett plaintiffs were involuntarily terminated due to company downsizing, and after termination, the company had refused to award any severance pay benefit to former employees. 699 F.Supp. 461. The court held that this refusal was a violation of an ERISA severance benefit plan that existed at the company. Id. Defendant was ordered to pay their employees severance pay, including interest. Id. This exemplifies how ERISA protects employees from the economic hardship of joblessness and rewards employees for past service to the employer. Before ERISA, it was unclear how long an employee would need to wait before his or her defined benefit plan became vested. Sometimes, this could take up to 10 years. Certain plans would require that an employee stay with the company until retirement to receive any benefit. ERISA has successfully established minimum guidelines for to defined benefit plan vesting. These minimum guidelines, however, make defined benefit plans expensive for employers to administer. Under ERISA, an employer must hire an actuary to ensure that the required contributions are being met. Therefore, the investment risk of the plan is shouldered by the employer. The employer is also required to participate in the PBCG and to pay a premium of $34 per participant. Those employees whose benefits are not received by the time specified have a cause of action for an ERISA violation. Compliance with ERISA standards has made defined benefit plans unpopular with most employers. There were roughly 170,000 defined benefit plans in 1980. Facts From EBRI: Retirement Trends In The United States Over The Past Quarter-Century, EMPLOYEE BENEFIT RESEARCH INST., 2007. By 2004, there were only 47,000. Id. The major factor in this decline is the fact that ERISA does not require that an employee make a specific contribution to the plan. In most instances, funding comes solely from the employer. Richard W. Stevenson, The Fight Over Tax Changes: The Marriage Penalty, and More, N.Y. TIMES, July 23, 2000, at 116. For this reason, employers are more likely to provide a defined contribution plan. Indeed, use of defined contribution plans became widespread after the creation of ERISA. With these plans, investment risk is the employee’s burden. Although the employer makes no promise to any benefit upon retirement, ERISA’s disclosure duties give the employee some control over retirement benefits. ERISA’s standards have inadvertently forced employees to participate in more risky pension benefit plans. In defined contribution plans, the employee exchanges the promise of a benefit upon retirement for, the ability to control his or her investment. Ironically, ERISA’s minimum standards, which are meant to ensure employee benefits upon retirement, have done just the opposite, making popular a pension benefit plan that actually promises nothing. ERISA’s participation, vesting, and funding standards do not apply to employee welfare benefit plans. However, ERISA still preempts all state laws that relate to welfare benefit plans. See 29 U.S.C. §1144(a). A plaintiff’s cause of action against a welfare benefit plan must be within ERISA’s civil enforcement provisions. 29 U.S.C. § 1132(a). This provision states that a civil action may be brought by a participant or beneficiary to recover benefits due him under the terms of the plan, to enforce his rights under the terms of the plan, or to clarify his rights to future benefits under the terms of the plan. Therefore, if the provision does not provide plaintiff with a cause of action, he is denied access to the courts for his claim. The language of the civil enforcement provisions state that a plaintiff can recover only the benefits due under his plan, severely limiting his remedy. ERISA does not account for the consequential damages that come with a refusal of welfare benefits. A plaintiff is to receive only what he should have received in the first place. As a result, there is no punishment for fraudulent behavior by insurance companies. A great danger that insurance companies will unjustly refuse coverage to those in need is thus created. In conclusion, while ERISA aims to protect employee’ benefits, it is greatly deficient in certain areas. The preemption provision should not be applied to welfare benefit plans. It offers no source of relief for many plaintiffs, and when it does offer relief, the relief is minimal. In order for the stated objectives of ERISA to be fully realized, this provision should be modified. Ryan McParland is a 3L at Albany Law School. He will be graduating this spring and has a concentration in Business Law. He is currently working as an intern for Albany Law School’s Tax Clinic, where his main duties at the clinic include researching tax law and negotiating settlements with the IRS on behalf of low-income individuals. He is also an ACES teaching fellow and is actively involved in Moot Court. Our law firm fights on behalf of individuals to obtain their long-term disability benefits. We handle many cases where the primary disability is back-related pain. Chronic back pain is a major cause of disability in the Western world. Chronic back pain can be triaged into simple chronic back pain, spinal nerve root pain and serious spinal pathology. Red flag markers are indicative of serious spinal pathology. Assessment of disability and of psychological distress is important. Management of back pain should involve a multidisciplinary team. Chronic back pain can be triaged into three categories: simple musculoskeletal back pain (95%), spinal nerve root pain (4–5%) and serious spinal pathology (1%). Simple musculoskeletal back pain accounts for the majority of cases. It is mechanical in nature and occurs in the age group of 20–55 yr. Pain occurs mainly around the lumbosacral area and the buttocks; it is often associated with referred leg pain into the upper thighs that rarely extends below the knees. The pain is typically described as a dull ache that varies with physical activity. Patients are generally otherwise physically well. Discogenic pain (arising from the intervertebral discs) accounts for 40% of mechanical back pain. The intervertebral discs form the main articulation between the vertebral bodies. The disc is formed by an outer layer (annulus fibrosus) that consists of concentric bands of fibrous lamellae. The disc receives its sensory innervation from the sinuvertebral nerve and grey rami communicantes. The nucleus pulposus occupies the central area of the disc and it consists of a network of collagen fibres enmeshed in a mucoprotein gel. The nucleus pulposus has no sensory innervation, so its degradation is not a direct cause of pain. Discogenic pain probably occurs as a result of internal disc changes that lead to leakage of the contents of the nucleus pulposus into disruptions within the annulus fibrosus. The sacroiliac joint is the largest axial joint in the body and it is surrounded by a fibrous capsule. Pregnancy may lead to pain in the sacroiliac joints. Sacroiliac joint pain accounts for ∼20% of mechanical back pain. In sacroiliac pain, as with the majority of causes of mechanical back pain, there are no unique identifying features in the history and physical examination to pin point this diagnosis. However, pain arising from this joint has been recorded rarely above the level of the transverse process of L5. Stressing the joint may reproduce the patient’s pain. Pain arising from the lower lumbar facet joints accounts for 10–15% of mechanical back pain in young adults and up to 40% of cases in the elderly. The facet joints (zygapophysial joints) consist of paired synovial joints formed from the superior articular process of one vertebra and the inferior articular process of the vertebra above (Fig. 1). These joints function to stabilize the spine and limit rotation and shift. Certain features in the history may suggest facet joint involvement in the generation of pain (e.g. increasing pain with lateral bending, rotational movement and extension rather than flexion and the presence of paravertebral tenderness). Unfortunately, these signs are not specific to facet joint pain and a diagnosis cannot be made by history and examination alone. Anatomy of the lumbar spine. Ligaments of the spinal column help to stabilize the spine and set limits to certain movements. Strains or tears in these ligaments can cause chronic back pain. The muscles of the lumbar spine may also be a source of pain (myofascial pain). Such pain is characterized by the presence of trigger points in the muscles. This is defined as a tender point in a taut band of muscle that can cause referred pain. Palpation or needling of these trigger points can reproduce the patient’s pain. Spinal nerve root pain is often well localized, radiating down the leg in a dermatomal pattern. The radicular element is characteristically much worse than the associated back pain because it is neuropathic. The pain typically radiates below the knee into the foot. It is described as a sharp, electric shock-like pain and is well localized. Nerve root pain should not be confused with referred back pain; the latter rarely extends below the knee and is poorly localized. Paraesthesia may occur along the same dermatomal distribution as the pain. Coughing, straining and sneezing often reproduce or exacerbate radicular pain. Both the straight leg raise test and femoral stretch test can be used to elicit signs of nerve root irritation. Neurological examination may reveal sensory, motor and reflex abnormalities. Nerve root pain can be caused by disc herniation, spinal stenosis and epidural adhesions. The nerve roots leave the spinal canal via the intervertebral foramina. These are bounded anteriorly by the posterior longitudinal ligament, intervertebral discs and vertebral bodies. They are bounded posteriorly by the facet joints, pedicle and ligamentum flavum (Fig. 1). Posterior disc herniation can compress nerves directly by herniation into the central canal or into the intervertebral foramen. The peak age for disc herniation is 30–55 yr. The disc can become increasingly prone to herniation secondary to tears and degeneration in the annulus fibrosus. Pain arises from compression of the nerve roots and also from inflammatory changes that occur in response to the herniated disc material. Spinal stenosis typically occurs after the age of 55 yr and is a result of bone and ligament hypertrophy leading to reduction in the diameter of the spinal canal and intervertebral foramina causing compression and chronic inflammatory changes of the nerve roots with the development of adhesions. Its clinical features include neurogenic claudication pain that occurs after 10–20 min of walking. It is important to differentiate this from claudication pain secondary to vascular insufficiency. Extension of the spine exacerbates pain and flexion often eases it. Patients often describe walking up hill easier than walking on the flat; they can often cycle even if they cannot walk. Epidural adhesions can lead to nerve root pain. These can occur after spinal surgery, chronic inflammation as a response to leakage of nucleus pulposus from damaged discs or from cytokines released from facet joints. Pain associated with epidural adhesions is mostly continuous and independent of activity; the distribution of pain can be mono- or multi-segmental, and unilateral or bilateral. Serious spinal pathology is rare and ‘red flag markers’ in the history (Table 1) should alert the physician to the possibility of serious pathology and the need for further investigations to exclude spinal tumours, infection, trauma, inflammatory diseases and cauda equina syndrome. History and examination of the patient by appropriate healthcare professionals allows triage that will guide management. It is not necessary for all patients with back pain to be triaged by medical staff and assessment by other professionals (e.g. specialist nurses and physiotherapists) can be useful. It is essential to assess any associated disability. Specific questions should be asked about restrictions to activities of daily living (e.g. sleep, personal care, mobility, socializing and work). Questionnaires can be used as more reproducible assessment tools; two commonly used questionnaires are the Oswestry Disability Index and the Roland Disability Questionnaire. It is also important to look for features of anxiety (e.g. apprehension, tension, difficulty coping, increased dependence on others and poor concentration). Depression may also present with anhedonia, hopelessness, loss of self-esteem, appearing withdrawn and crying; it may also be associated with some physical symptoms including early morning awakening, and loss of appetite and libido. Patients with persistent pain often present with anger. These problems may indicate the need for more formal psychological assessment and management. The history and examination are likely to dictate the most appropriate investigations and referral pathways for patients in this category. Plain radiographs of the lumbosacral spine are recommended to look for spinal tumours and fractures. Simple tests (e.g. WBC, ESR and plasma viscosity) are needed to screen for inflammatory disorders, infection and malignancy. However, normal results do not exclude serious spinal pathology and, if the history is suggestive of a sinister cause for the pain, further investigation is required and early radiological advice is needed. Plain radiographs are of no benefit in the assessment of nerve root pain. CT shows bone architecture and MRI is the investigation of choice for assessing soft tissues. MRI is more useful than CT as an investigation for nerve root pain, unless the history is suggestive of spinal stenosis, when CT may be more appropriate. Imaging reveals many false positive abnormalities; many MRI studies of pain-free subjects have highlighted the presence of asymptomatic herniated discs, marked degenerative changes and nerve impingement. Therefore, the results of these investigations should be viewed in the context of the clinical presentation. Nerve conduction studies are not recommended for investigating nerve root pain; they have a high false positive rate and often lack the sensitivity to make a specific diagnosis. However, they can be useful for distinguishing between a radicular and peripheral neuropathic pain. Plain radiographs, CT and MRI generally have no role in the investigation of chronic musculoskeletal back pain; there are many false positive findings and they do not alter treatment plans. Diagnostic nerve blocks can sometimes be used to investigate the cause of simple chronic back pain (e.g. lumbar medial branch nerve blocks can be used to assess whether pain is originating from the facet joints). Pain relief after anaesthetizing these nerves as selectively as possible may suggest that some of these patients may benefit from radiofrequency lesioning of the lumbar medial branch nerves. Similarly, sacroiliac joint injections can be used to assess the sacroiliac joints as a source of pain. The management of serious spinal pathology depends on the nature of the problem and will not be discussed further. Nerve root pain and simple back pain can be managed within a pain management clinic using a multidisciplinary approach. The aims of the treatment are to improve pain and optimize physical, psychological and social functions. Evidence supports the use of non-steroidal anti-inflammatory drugs (NSAIDs) and opioids in the management of back pain, although the use of long-term NSAIDs requires careful assessment of benefits and risks. Initial management is often regular acetaminophen and NSAID+/− a weak opioid. A strong opioid may be appropriate; opioid prescribing in this context should follow agreed recommendations such as those produced by the British Pain Society. The use of immediate release opioids should usually be avoided. There is evidence supporting the use of tricyclic antidepressants and anticonvulsants for neuropathic pain. Drugs such as methocarbamol, baclofen and benzodiazepines are sometimes used for muscle spasm, but there is little supporting evidence for this and long-term use should be avoided. There is strong evidence to support the use of some psychological approaches (e.g. cognitive behaviour therapy) to manage chronic pain in adults either as an individual therapy or in a group setting. This approach reduces pain and disability-related behaviour and improves function. Pain management programs combine physical and psychological strategies. They address education about pain and the distinction between acute and chronic pain, relaxation techniques, goal setting, pacing activities, attention management, and cognitive restructuring techniques. Graded exercise programs are a recommended treatment for back pain, and there is strong evidence to support the use of exercise therapy.3 It is more effective than standard care in a primary care setting. Patients achieve similar pain relief and improvement in disability with low impact aerobic exercise or conventional physiotherapy programmes. It has also been shown that spinal manipulation is more effective than placebo. These approaches are described in detail elsewhere.4,5 There is no evidence to support the use of caudal and lumbar epidural injections in the treatment of simple musculoskeletal back pain. These treatments may have a role in the early treatment of nerve root pain in some patients. Transforaminal nerve root injections have been shown to be effective in reducing the need for disc surgery. Facet joint injections can produce short-term pain relief, but evidence is lacking to support their use as a satisfactory long-term treatment for musculoskeletal back pain. Some studies suggest that radiofrequency lesioning of the lumbar medial branch nerves markedly reduces pain and produces a significant and sustained improvement in physical function.6 However, there are conflicting data concerning the efficacy of this treatment. It is important to note that the negative study did not recruit patients for treatment on the basis of pain relief after diagnostic medial branch blocks, perhaps highlighting the importance of careful patient selection. Transcutaneous electrical nerve stimulation may be more effective than placebo in reducing pain in the short term but there is little evidence to support its long-term use. Spinal cord stimulation may be useful in carefully selected patients. For example, it has produced significant pain relief in ∼50% of cases in studies of patients with failed back surgery syndrome and radicular pain. Its use in simple mechanical back pain is less clearly defined. Acupuncture can produce short-term pain relief. However, this is not often sustained and prolonged courses may be required. Surgical procedures for spinal stenosis and surgical discectomy can provide pain relief for nerve root pain. The evidence for lumbar decompression/fusion surgery for degenerative conditions of the spine is of poor quality and these procedures are generally not recommended. Please see multiple choice questions 13–15.
. Chronic Pain, Clinical Pain Management. London: Arnold; 2003.
. The Back Pain Revolution. Edinburgh: Churchill Livingstone; 1998.
. Exercise therapy for treatment of non-specific low back pain. Cochrane Database Syst Rev 2005;20:CD000335.
. Practice Guidelines for Spinal Diagnostic and Treatment Procedures. California: International Spine Intervention Society; 2004.
. Practical Applications and Procedures, Clinical Pain Management. London: Arnold; 2003.
. Efficacy and validity of radiofrequency neurotomy for chronic lumbar zygapophysial joint pain. Spine 2000;25:1270–7. Department for Work and Pensions. Available from . If you believe you have been wrongfully denied your ERISA, or non-ERISA, long-term disability benefits, give us a call for a free lawyer consultation. You can reach the attorneys at Cody Allison & Associates, PLLC at (615) 234-6000. We are based in Nashville, Tennessee; however, we represent clients in many states (Tennessee, Kentucky, Georgia, Alabama, Texas, Mississippi, Arkansas, North Carolina, South Carolina, Florida, Michigan, Ohio, Missouri, Louisiana, Virginia, West Virginia, New York, Indiana, Washington DC (just to name a few). We will be happy to talk to you no matter where you live. You can also e-mail our office at cody@codyallison.com. Put our experience to work for you in obtaining your ERISA or non-ERISA long-term disability benefits. For more information go to www.LTDanswers.com. The Employee Retirement Income Security Act of 1974 has evolved over the past four decades. President Gerald Ford at his desk in the White House. Photo by Marion S. Trikoso. Courtesy of the Library of Congress. In 2007, Dow Chemical Co. followed the trend of many companies and froze its traditional pension plan. But in an unusual move, Dow used the power of a 2006 law to become one of the first large companies to adopt a hybrid, or cash-balance defined benefit plan, instead of creating or boosting an existing 401(k) plan for workers. Dow closed the old plan and opened the new one for several reasons, said Janet Boyd, Dow’s director of government relations, tax and benefits. Modern workers don’t stay in their jobs for decades like they used to, and workers like to see an account balance similar to what is shown in a 401(k) plan. Dow used the flexibility of the new rules to create a benefit that dovetailed with the needs of its workers. Plus, the 2006 law, called the Pension Protection Act, updated issues not seen in the original legislation that was passed several decades earlier. And that flexibility is what the founding law of retirement plans — the Employee Retirement Income Security Act — has been attempting to accomplish since it was passed 40 years ago under the Ford administration. No doubt there have been missteps, but the original law and subsequent rulings have helped the industry develop, allowing millions of U.S. workers to participate in and benefit from a regulated retirement system. In 2011, U.S. Labor Department statistics show 683,647 retirement plans in America compared with 311,094 in 1975. It was Labor Day — Sept. 2, 1974 — when President Gerald Ford signed ERISA into law. For the past 40 years, employers who offer retirement plans have had to promise workers certain rights and protections. “ERISA isn’t perfect, but I still think the concept works, and the basic principle still makes sense,” Boyd said. At its core, ERISA’s intent was to secure U.S. workers’ retirement money. It set standards for coverage, meaning who was able to participate; vesting, or how long people needed to work before getting benefits; and minimum funding. Now employers or plan sponsors have to make decisions that are in the best interests of their participants. Before the law, companies with pension plans could use money set aside for benefits for other purposes. Companies could also close an underfunded plan without owing participants any money. The turning point for federal oversight happened when Studebaker-Packard Corp. closed its South Bend, Indiana, plant in 1963. The company had an underfunded pension plan, thousands of workers walked out with less than 15 percent of their retirement benefit, and some got nothing at all. For the first few years after ERISA’s passage, the number of defined benefit plans grew, and by 1980 nearly 36 million private-sector workers, or 46 percent of the private-sector workforce, was covered by this kind of plan, according to data from the Employee Benefit Research Institute. With defined benefit plans, employers define the benefit based on a predetermined formula. The employer funds and invests the money, and the payout is typically an annuity. In the 1980s, Congress and the Reagan administration fiddled with funding rules for over- and underfunded plans as well as changed the premium structure for the insurance agency, the Pension Benefit Guaranty Corp., which was set up to backstop defined benefit plans. Tightening funding rules meant fewer tax-free dollars in pension plans and more taxable dollars in the economy. Translation: while Congress was able to give Americans tax breaks on their income, these new laws gave plan sponsors no incentive to prepare for hard times. It was the virus that infected defined benefit plans, Towers Watson’s Wagner said. In 1983, there were 175,143 defined benefit plans, Labor Department statistics show. By 1992, there were only 88,621. In 2011, that number shrank to 45,256. The U.S. workforce was changing, too. A more mobile workforce was evolving, and the years it took to qualify for traditional benefits didn’t suit many employees. Statistics from a 2012 Bureau of Labor Statistics report showed that workers born between 1957 and 1964 have held an average of 11 jobs during their prime working years. Employers started realizing they didn’t want to take on all the responsibility of a pension plan, but still wanted to offer a tax-deferred retirement savings plan. It wasn’t until 1981 when the U.S. Internal Revenue Service’s regulation under Section 401(k) made it clear that portions of workers’ regular salaries could be contributed to secondary savings plans on a tax-deferred basis. The popularity of the employer-sponsored, but employee-funded 401(k), or defined contribution plan, took off. The number of defined contribution plans more than doubled in a decade’s time to 599,245 in 1990 from 340,805 taxable plans in 1980. A shift was definitely taking place. “Yes, it was overregulation. Yes, it was continued effects of policymakers using pension funds [tax-preferred status] as a source of revenue, but it was also a trend that reflected a dramatically changing workforce as well as all the positive aspects of a vibrant defined contribution system,” said Jim Klein, president of the American Benefits Council. Employees liked the plans, too. By 2000, 51 million people participated in a defined contribution plan compared with the 22 million who took part in a defined benefit plan. There were 687,000 defined contribution plans with $2.9 trillion in assets compared with 49,000 defined benefit plans with $2 trillion in assets, according to the Investment Company Institute. Since 1985, more contributions have flowed into defined contribution plans on an annual basis than defined benefit, Labor Department figures show. As defined contribution plans grew and have become the main way people save for retirement, the industry has tried to put defined benefit aspects into 401(k) plans. The typical 401(k) plan in the ’90s had workers signing up, looking at prospectuses and deciding how much and where to invest. In many ways, workers were expected to be professional money managers, and there was concern and evidence that they weren’t doing too well. In 2006, Congress passed the Pension Protection Act. The law helped plan sponsors automate a lot of the decisions for workers, making it easier to save. It also cleared up rules on the defined benefit side for companies like Dow Chemical to set up cash balance plans. More than half of plans surveyed in 2013 by the Callan Investments Institute automatically enroll participants; of that group, 87 percent automatically bump worker contributions annually. As of December 2013, defined contribution plans held $5.9 trillion in assets, dwarfing the $3 trillion defined benefit market. Even though there are $23 trillion in total retirement assets today, many wonder whether America has saved enough money to last through retirement. There are forces in play that seem to be repeating the past mistakes discouraging Americans to save as much as possible. Last year, President Barack Obama proposed to limit the amount workers could save from all types of retirement accounts. Congress, too, is eyeing the tax-preferred status of plans to possibly help solve the country’s growing deficit problem. Maybe we should look at the past to see what happens when Congress tinkers with the tax benefits of retirement plans, Schieber said. “Either we have to start paying for services or reduce what we spend, and quit robbing future retirees of their ability to save,” he added. Patty Kujawa is a writer based in Milwaukee. Comment below or email editors@workforce.com. Follow Workforce on Twitter at @workforcenews. 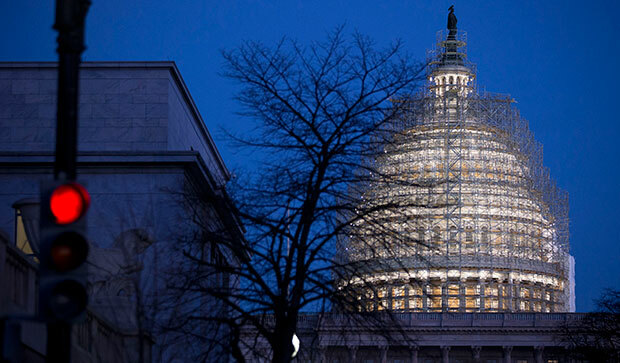 An add-on to omnibus year-end congressional legislation will allow trustees to reduce benefits in multiemployer plans. In one fell swoop last week, a once-sacrosanct tenet of the 1974 omnibus pension law, the Employee Retirement Income Security Act (more commonly known by its acronym, ERISA), was overturned. For its sponsors, the measure meant saving troubled multiemployer pensions heading for insolvency. For others, a change to the 40-year law that many believe banned reductions in accrued pension benefits was yet another step to ending true pension benefits. The controversy surrounding the new Multiemployer Pension Reform Act of 2014, part of the $1.1 trillion year-end omnibus bill passed late last week and signed into law by President Barack Obama, hinges on a misperception that ERISA has never allowed cuts in accrued pension benefits. Reductions occur, in fact, when a company in bankruptcy hands its pension over to the Pension Benefit Guaranty Corp. to make the promised benefit payments. Because the PBGC often cannot provide a benefit at the level once promised by the employer, benefits are cut. What is alarming to some about the new legislation is that another means of restructuring benefits has been handed to multiemployer plan trustees. As often happens in lame-duck sessions, especially as the legislative calendar winds down before the December break, special-interest provisions get stuffed into massive pieces of legislation and are passed without the usual debate. Along with the measure allowing pension cutbacks was the controversial repeal of a provision of the 2010 Dodd-Frank Wall Street Reform and Consumer Protection Act that several major banks lobbied hard for, including JPMorgan Chase & Co. CEO Jamie Dimon, who made personal calls to members of Congress. Another was a large increase in allowable political donations. The pension cutbacks, which were approved by the House last Thursday and the Senate Saturday night, began life as merely one solution to the looming exhaustion of an estimated 200 multiemployer, or Taft-Hartley, plans, involving about 15 percent of 1,400 union- and employer-sponsored pension funds that cover more than 10 million workers and retirees. Solutions were first sought when the National Coordinating Committee for Multiemployer Plans (NCCMP) in 2012 formed a coalition of labor and management, the Retirement Security Review Commission. In early 2013 the group published its recommendations in a report called “Solutions Not Bailouts.” Among the proposed remedies to underfunded multiemployer plans were tweaks to rules established in the Pension Protection Act of 2006. But the group endorsed a suspension in benefits, within certain limits, for those plans deemed “deeply troubled,” defined as facing projected insolvencies within 15 years. There are several other proposed remedies to underfunded pensions in the commission report, aside from the one enacted in last week’s spending bill. One is the concept of alliances and mergers of pension plans to achieve economies of scale. The most ambitious and farsighted recommendation was innovation in the form of new pension plan designs that would mitigate some of the problems that have developed in older pension structures. The latest crop of reforms was introduced by the chairman of the House Committee on Education and the Workforce, Minnesota Republican John Kline, and George Miller of California, a longtime pension advocate and ranking Democrat on the House committee, after it became apparent that Congress had no appetite to lean on taxpayers to bail out seriously underfunded multiemployer pensions. Joshua Gotbaum, who recently left as director of the PBGC, worked with the congressmen and NCCMP executive director Randy DeFrehn to pass the multiemployer reform plan. “This is a matter where arithmetic trumps policy,” says DeFrehn. His main argument: When actuaries ran the numbers on troubled pensions, they discovered that small cuts today would maintain some benefit for all participants in the long term, as opposed to waiting until the funds were entirely depleted. For some people, saving imperiled plans is ERISA holy writ. A host of multiemployer plans agree with DeFrehn and Gotbaum, including the most troubled of all, the International Brotherhood of Teamsters’ Central States Fund, which has not recovered from losing $8.8 billion in the financial crisis. Others, such as those of the United Food and Commercial Workers International Union, the Associated General Contractors of America, the National Electrical Contractors Association, the United Brotherhood of Carpenters and Joiners of America, and the Service Employees International Union, came down on the side of pension cuts to save plans, as did Cincinnati-based supermarket chain Kroger Co., with its large unionized workforce. A number of union executives also criticized the measure. One, R. Thomas Buffenbarger, the international president of the International Association of Machinists and Aerospace Workers, wrote to House members on December 3 concerning “the IAM’s strong opposition to any legislation that would allow the trustees of ‘deeply troubled’ multiemployer plans to solve funding challenges by impoverishing current retirees.” Democratic Senators Tom Harkin of Iowa and Ron Wyden of Oregon have also dissented, as has the AARP. Although ERISA has until now prevented most cutbacks to earned pension income, it is not unheard of for benefit adjustments to be built into retirement systems at inception as a way to prevent insolvency in dire economic times. For example, Wisconsin has an adjustable pension trust design that changes each year with the ups and downs of its investment portfolio. In the wake of the financial crisis, and after 17 uninterrupted years of gains, pensioners in that state saw their benefits shaved for five years as the fund recovered. The vaunted Dutch pension system, upon which Wisconsin’s plan is based, also makes monetary adjustments as the investment portfolio fluctuates. Time will tell if plan trustees will make judicious use of their new powers to cut benefits, as the act’s sponsors fervently wish, thus rescuing underwater plans. Time will also tell if — as the act’s detractors fear — this measure will lead to further erosion of pension benefits in single-employer and public plans. Active full-time employees, regular rank faculty, and non-regular rank faculty of Duke University excluding Private Diagnostic Clinic faculty and house staff. Active full-time employees of Duke University Health System excluding faculty*, Private Diagnostic Clinic faculty and staff, and house staff. *Full-time Clinical Associates and Consulting Associates are eligible for this benefit. The plan replaces up to 60% of your base salary to a maximum monthly benefit of $12,500. This plan is for employees with less than 3 years of full-time continuous service, unless the employee already qualifies for the Duke Disability Plan. Voluntary Long Term Disability (LTD) benefits cover disabilities whether or not they are job related. However, benefits will be reduced by the amount of other income benefits you receive while disabled, such as sick/vacation leave, paid time off, Kiel, or Social Security. Regardless of these offsets, the minimum benefit is the greater of 10% of the Voluntary LTD benefit or $100. Voluntary LTD benefits begin after you have been totally disabled for four months if you are a Duke University employee. Benefits begin after you have been totally disabled for six months if you are a Duke University Health System employee. If you had an employer-sponsored long term disability plan within 90 days of full-time employment to Duke, you may participate in the Duke Disability Program as of the first day of the month after your hire date (waiving the normal three-year waiting period). You can request that your immediate previous employer completes the Duke Disability Program – Request for Service Requirement Waiver form. Alternately, proof of prior group LTD coverage may be submitted on your past employer’s letterhead or business email and the statement of prior participation should also include the termination date of the disability coverage. Waiver requests can be emailed to benefits@duke.edu or faxed to the attention of our disability analyst at (919) 681-8774 within 90 days of your hire date. An individual (non-group) LTD disability plan does not qualify for LTD waiver consideration.